Cynthia Richards is passionate about education and working with leaders, educators and parents to provide the best education for each student. She has been employed within the New Brunswick Public Library system for the past 24 years. 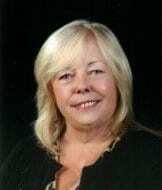 As a volunteer she has been a member of Home and School Associations for the past 33 years, sitting in many different positions on both the Provincial and the Federal level.